One of the great things about working with horses is that you can form incredible bonds with the right horse. That happened with Richard Kinnon and his stallion, Whitey. Kinnon drives coach rides for Cobb & Co in Longreach, Outback Queensland. 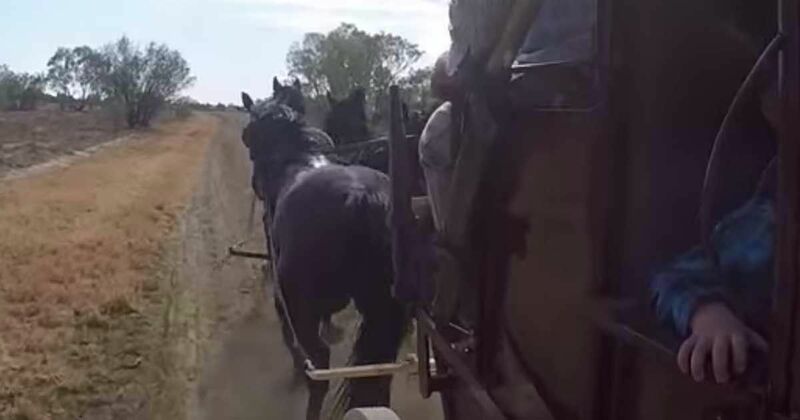 When Kinnon sets out on a coach ride, Whitey often follows along behind. Watch the video below to see how Whitey tags along while Kinnon is on the job. Not only is Whitey's behavior pretty adorable, but Whitey himself stands out due to his unusual and striking appearance. 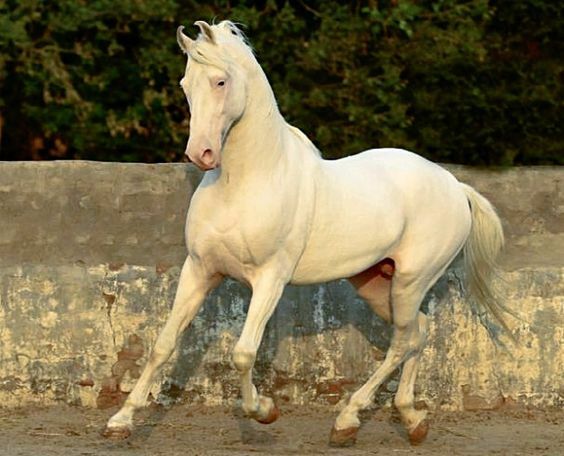 Whitey is a beautiful example of a cremello, which refers to a particular color of horse that results when the horse inherits two cream genes from its parents. A cream gene lightens the horse's coat. When a chestnut horse has one cream gene, a palomino is the result. But when a chestnut has two cream genes, the horse is a cremello. According to Odyssey Ranch, despite its light-colored coat, a cremello is not an albino. Referred to as a "double palomino," a cremello has a white mane and tail. Some cremellos have coats that are as white as their manes and tails, while others have coats that are more cream-colored. A cremello also has pink skin and blue eyes. Thanks to their distinctive appearance, cremellos can be quite striking in the show ring or in parades. Typically, horses with lighter skin tones, seen in their pink-skinned noses, sunburn quite easily and require additional care and protection during the summer. No research has been done to date on how susceptible cremellos are to sunburn, but Odyssey Ranch reports anecdotal evidence that cremellos don't seem to sunburn nearly as easily as "paints" with pink skin do. One thing's for sure, though: Keeping that cream-colored coat clean will definitely be a challenge! If you buy a cremello, then plan on spending lots of time bathing and spot-treating your horse before a show. Even the slightest bit of dirt shows up on these brilliant coats, so you're sure to get in some serious practice with your grooming skills. Cremello horses may require some extra care and elbow grease to keep clean, but if you ask most owners, it's worth it to have these beautiful horses in your pasture.